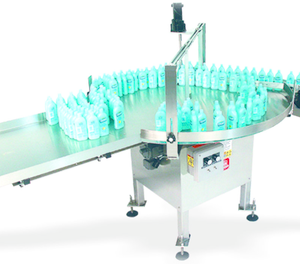 Rotary Unscrambling Tables are designed to unscramble round bottles, jars, cans and containers. From the Stainless Steel feed table the containers are transferred onto the stainless steel rotary disc for orienting. They are then discharged single file onto a conveyor. This design ensures the removal of all containers without manual assistance.